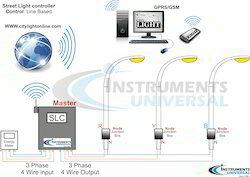 Instruments Universal is a leading manufacturer in Street light monitoring and control system in Inida. We have installed first street light monitoring and control system in Vadodara in 2008. And Vadodara Municipal Corporation got 4 Time national awards (by Bureau of Energy Efficiency BEE) for energy saving in street lighting. 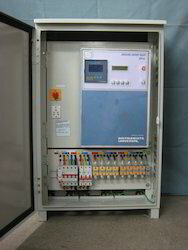 We provide our customers with SLC 03 25 GPRS system with web based SCADA software, which is a hi-tech solution for sound protection and communication. SLC operate on longitude and latitude parameter of location with month wise settable civil twilight time and also offer real time clock with 10 years of life. The system is known for its energy efficient design that saves upto 8 % energy. 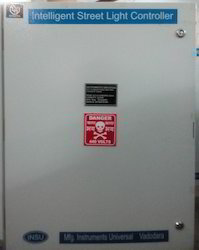 It also provides protection against over and under voltage and short circuits. Our smart SLC web SCADA based system can be viewed, managed and controlled by secured login from our dedicated website from anywhare. Contact us for more details about the website. We feel proud to introduce ourselves as one of the well-known manufacturers and exporters of Street Light Monitoring Systems. The offered street light monitoring systems is highly liked and appreciated by the clients for easy operation and quick installation. Our exported street light monitoring systems is available at very cost effective market selling rates. Instruments Universal’s revolutionary Lamp monitoring and controlling System can upgrade regular street light to a “smart” street light in existing equipment. The Insu LC Nodes provide real-time monitoring and control of street lights in lighting networks both large and small. A full suite of control features include remote on/off, dimming, scheduling, daylight harvesting, emergency management and smart grid demand / response energy management. Enhanced fault monitoring and management are standard features allowing retrieve real-time power consumption data and lamp light levels from a central server accessible via a secure web connection. 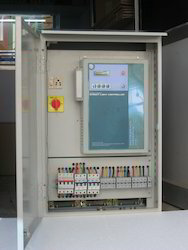 Lamp controller consists of advance microcontroller base systems with analog inputs and RF communication systems. The communication systems are designed on advance wire less mesh network technology. Wire less GSM systems With Citylight software for constant monitoring, controlling and logging of switching on time, RTC data, electricity parameters and faults. Reports can be generated as per user requirements. Control from mobile phone for service purposes Feeder Pillar can also be controlled from a GSM phone using SMS technology (Optional). Fast detection of errors with GSM the street lights are always online any fault in street lighting electrical circuits is known to the operator within sort time. Simultaneously User settable Two Mobil no of supervisor and technician for instantaneous fault reporting. 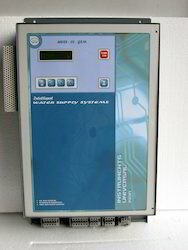 Unit self generate data massage like, ON time, Off Time, Power Down time, Auto mode, Manual Mode, Volt Fault, Over Current Fault, Short Cercuit Fault, Neutral Fault, RTC Fault, Memory Fault, Low Ampere Fault, Door Open, Relay Fault, Calibration Data, and acknowledge the massage received from master like E Stop, Test Mode, Live Status, E Profile, parameter update, All this massage contain All electrical parameter with real-time clock date and time. 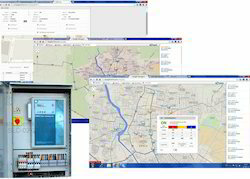 it send to Citylight software through GSM systems. We are one of the leading manufacturers and exporters of Street Light Management System. The offered street light management system is very commonly used for the automation of street lighting system. Our exported street light management system is highly acclaimed and appreciated for quick installation and easy operation. We occupied with offering ideal quality Street Light Monitoring and Control System at moderate business sector prices. Made utilizing high review raw material, our control systems are known for their high rigidity and unfriendly resistance. These items offered by us are checked using innovative techniques and advanced machines to guarantee that an immaculate reach is dispatched at customers' premises. We are one of the widely acclaimed manufacturers and exporters of GPRS Street Light Management System. The offered energy saver street light automation is highly acclaimed and appreciated for reducing carbon foot print and easy installation. Our exported energy saver street light automation operates on gsm technology.